So you just posted your first few posts when you realize, "What's my URL??" 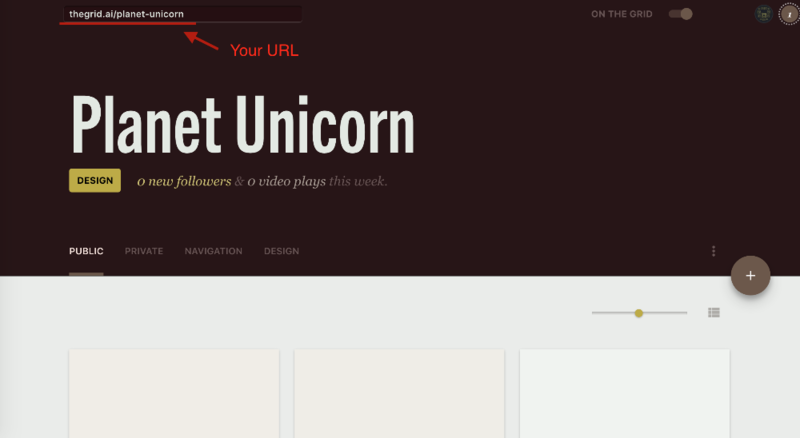 All URLs on The Grid will be formatted as thegrid.ai/YOUR_SITE_NAME/. You can always change your URL to something else if you change your mind (as long as that name isn't already taken). You can find this URL at the upper left of your Admin Dashboard.